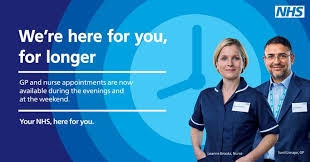 We may also be able to offer you appointments at other Practices during the week or offer aa appointment at the Queen Elizabeth the Queen Mother Hospital with a clinician on a Saturday or Sunday. These appointments may not be with a doctor from this practice but with your consent the clinician will have access to your electronic medical record. Any of our doctors can refer into our service if correct medical criteria. You will contacted to arrange an appointment to discuss the minor surgery procedure. Then you will be contacted to book a follow up appointment in the minor surgery clinic. Please be advised the pharmacy sharing the building with the practice is not our pharmacy. They are an independent business to the practice. All Patients - Your Named GP is Dr M D Cardwell.